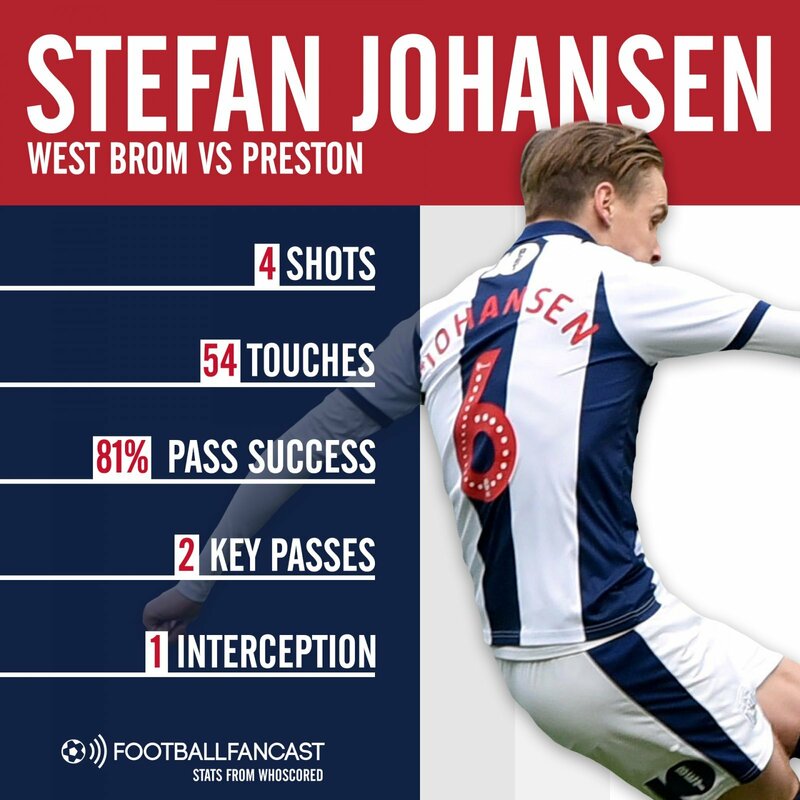 Left out in the cold during Fulham’s dismal Premier League season, Stefan Johansen is quietly going under the radar at West Brom during his loan spell. The air has been far from positive at the Hawthorns over the past month. The sacking of Darren Moore has been preceded by a managerial circus, which after target Alex Neil signed a new deal with Preston still looks as though it’ll never end. However, amid the chaos, Johansen has been one of the best players under caretaker James Shan. Bringing the Norway captain in has proved to be a shrewd bit of business and despite Dwight Gayle grabbing all the headlines for his hat-trick last weekend, Johansen also played very well. It was a performance that in some ways was equally deserving of praise, looking assured and composed in midfield alongside Baggies skipper Chris Brunt. Both of those aforementioned players claimed an assist during the game. Brunt’s was mesmeric but there was something about Johansen’s performance that deserved more appreciation. West Brom’s performance saw a barrage on the Preston goal and Johansen played a large part in that with numerous shots on goal. He was hugely influential at both ends of the pitch, picking two key passes as the willing Jay Rodriguez and Gayle proved a constant threat. Johansen wasn’t just good in the final third, as he had an impact defensively too, making one interception. It was a performance that typified the 28-year-old’s recent displays. He was one of few players who were able to take credit from the Baggies’ awful 3-2 defeat against Bristol City last Tuesday. In what was a shambolic performance he offered a slight sense of control. That was an aspect of his game that once against stood out against Preston, boasting the third-best pass success percentage on his team. If West Brom are to achieve promotion this season, then he will be key.